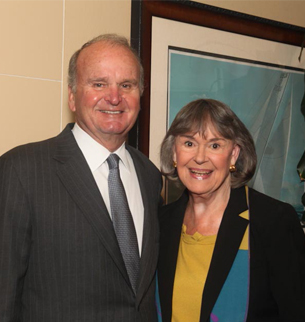 J. Wayne Weaver and Delores Barr Weaver, former owners of the NFL franchise, Jacksonville Jaguars, have donated their home at 6120 San Jose Boulevard West to The Community Foundation for Northeast Florida. The property is listed for sale at $3.995 million, and proceeds from the sale will go into the Weaver Family Foundation Fund at the Foundation, where they will be used to benefit nonprofit organizations. Read the news release announcing the gift here. Go to www.6120sanjose.com for a video tour of the property, which is listed by Berkshire Hathaway HomeServices Florida Network Realty.